A study released at the end of 2014 found a 40 percent decline in the southern Beaufort Sea polar bear population between 2001 and 2010. We asked Elisabeth Kruger, World Wildlife Fund's Arctic and Bering Sea program officer, how her organization is working with citizens and politicians across the Arctic to conserve these majestic bears and other species affected by development and climate change. Over the past 25 years, Churchill, Manitoba, has become synonymous with polar bear tourism. The village of just 900 people has leveraged the boom in both interest and income from bear visitors to finance improvements in infrastructure while making bear tourism safer and more enjoyable for bears and people alike. Churchill has turned its remote location at the terminus of the Hudson Bay Railroad into an eco-destination for photographers and nature lovers, celebrating the “natural resources” of polar bear activity, beluga migration, and even the Northern Lights. Arviat, Nunavut, is a one-hour flight further northward along Hudson Bay and sees the same abundance of polar bears as they move along the coast. In collaboration with WWF Canada, the town has struggled to manage bear activity in settled areas while defining its own, less bear-centered tourism agenda with fewer resources than its neighbor to the south. 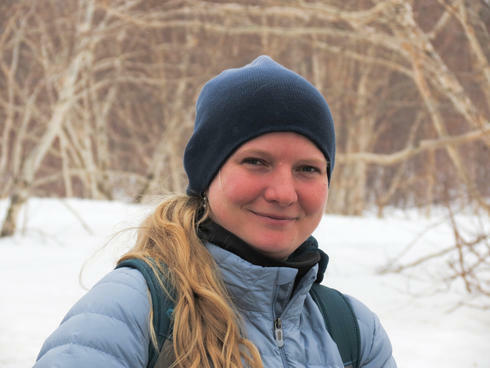 While Kruger's extensive experience with communities across the arctic provides her with a great toolkit of methods for dealing with polar bears, she recognizes that the differing needs and resources of each village makes “providing support for solutions from within each community” her top priority. The effects of global warming only increase the probability of human-polar bear conflict. When sea ice is plentiful over shallow water, polar bears have ample access to seals, their primary food source. When their hunting season is shortened due to warmer ocean temperatures, a polar bear behaves no differently from any other predator: they are driven to “easy” sources of calories – namely human food and food waste. In Alaska as in your backyard: hungry bears are noxious bears. “Tourists are interested in bear management,” says Kruger, and their spending provides an additional “incentive [to villages] to show off how well they manage problems with bears” by proactively and humanely addressing such conflicts. While “climate change remains the biggest threat to bears across the Arctic,” Kruger notes that WWF addresses other significant environmental factors across the region, such as exploration and development of off-shore oil and gas resources. The productive waters of the Bering, Beaufort, and Chukchi Seas span from Chukotka in eastern Russia across Alaska to Canada’s Northwest Territories. Ocean currents and ice movement patterns show that oil spilled in any coastal area would impact wildlife and habitat of all three countries. In order to understand these effects more concretely, WWF Canada developed an online oil spill trajectory modeling program. The resource allows users to view the impact of various types of spills that originate in the Canadian Beaufort Sea on local human and animal populations across the Beaufort, Bering, and Chukchi Seas. Given the trans-boundary nature of arctic work, Kruger authored a trilateral strategic plan, uniting WWF US, Canada, and Russia under a common regional framework. Kruger was perhaps uniquely qualified for this task: a US citizen, she relocated to Anchorage, Alaska, from Irkutsk, Russia, where she'd worked for four years on cultural and educational programs. Her familiarity with the people, the customs, and the languages of the region have been an asset when organizing geographically disparate teams to cooperate on common environmental goals, from local adaptive management issues to range-wide internationally-binding arctic treaties. Churchill, Manitoba, has become synonymous with polar bear tourism. The village of just 900 people has leveraged the boom in both interest and income from bear visitors to finance improvements in infrastructure while making bear tourism safer and more enjoyable for bears and people alike.